If you had been at La Nueva Conquista a little before 1pm this afternoon, you would have seen M. and I doing our happy dance. We went for the usual and delicious roast pork over rice but fell instantly in love with a tray of stuffed peppers. We were amply rewarded for the change in routine. 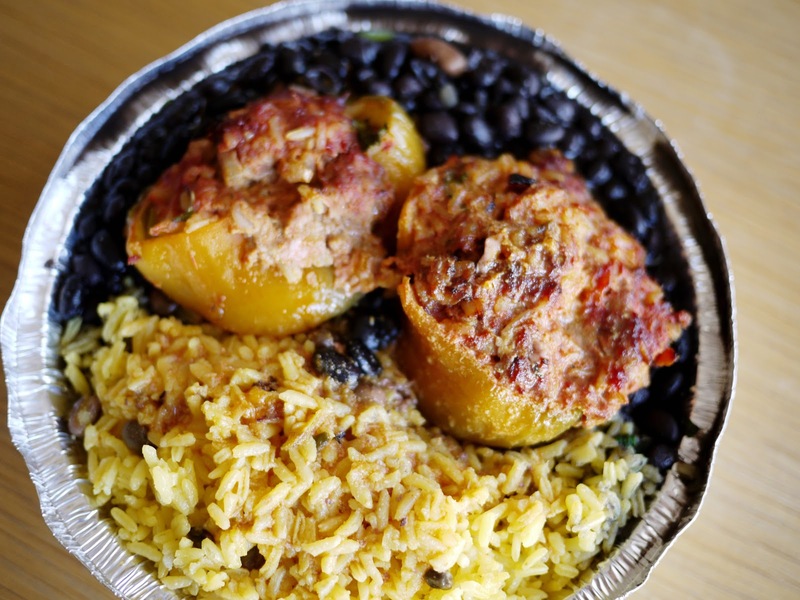 These stuffed peppers were quite possible the most you could hope for in a stuffed pepper. Perfect in every way, including the $8 price tag for an enormous container of food. Considering we often split oversize meals like this, that's $4 each that we paid today for an incredible amount of soul satisfying happiness.